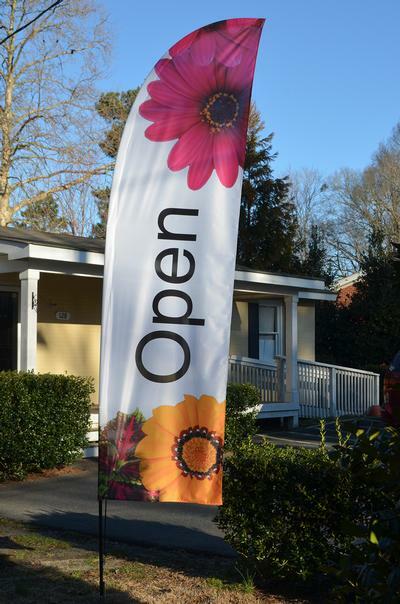 With motion and our vibrant designs, feather flags are a great way to draw attention to your business. 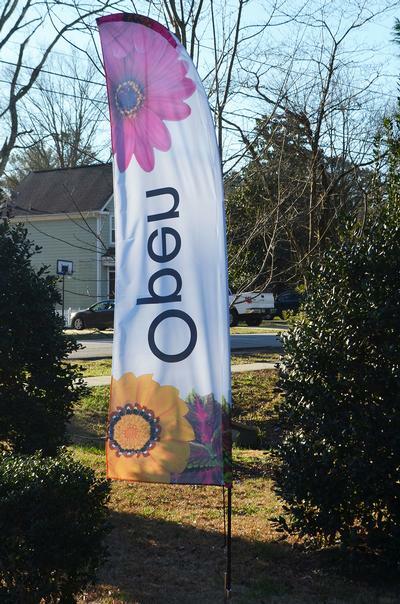 The OPEN Feather Banner is available in multiple sizes. 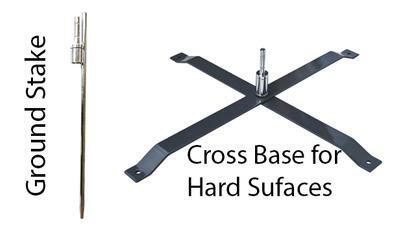 Select the proper size and hardware (ground stake vs. cross base) above. We produce Feather Flags as we receive orders. They ship in 5-7 days from the west coast. Please allow sufficient time for the production and shipping.